This month I was able to make a lot of new artwork! Above I painted my cousin's cat, Marley, who was relaxing on a nice carpet. It was fun to paint Marley and make him pop out of the surface with dimensional, full-bodied oil paint. The finished painting turned out pretty good, but I'd like to take another stab at it. 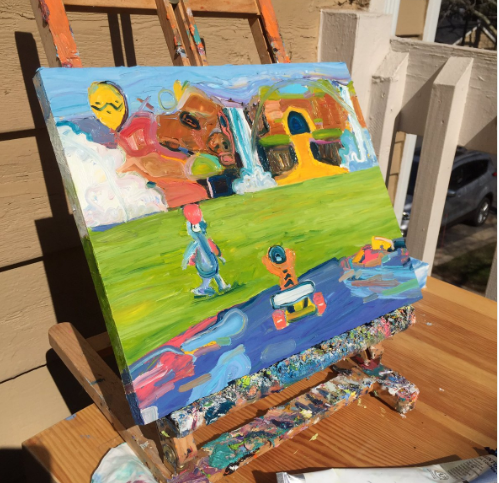 My goal isn't to make the painting look spot on or perfect, it's more to actively involve the memory of the game. Sadly enough I remember playing Diddy Kong Racing for the first time in a Toys R Us in Denver (Denverites will remember this store as being right next to REI and Circuit City). I still play it every now and then and it brings a smile to my face. Also this month I've been thinking a lot about internet privacy or the complete lack thereof. People who know me a bit more closely know that I spend just about every day knee-deep in computers, computer problems, software problems, ect. I know a little bit more than your average artist about just how much data gets passed through abusive hands. I stopped posting written tweets on Twitter a while ago, posting only images for the entire year of 2018. Some of my thinking here involved my own distaste for the internet yelling factory. Sometimes there are reasons to yell, other times, the yelling is just noise. AS DJ Khaled says... who has the time? It is much better to go into the world and make real changes and connections with people, or help someone in real life. Worse, complaining on Twitter and Facebook feeds a machine that uses all statements to either sell things to you or persuade you in more sinister ways. Art, especially good art, isn't trying to sell us something or make us think a certain way. Advertising tries to sell to us, Propaganda aims to control our thoughts. Neither of these things are art. 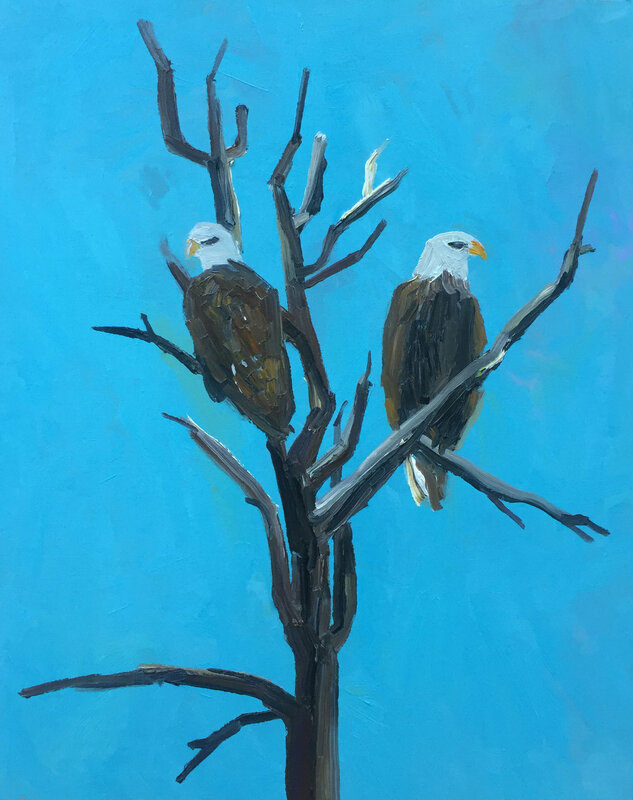 In other painting efforts, I made this painting of two bald eagles in a dead tree. I never realized how menacing bald eagles could look until I painted them. They are truly fearsome predators! Maryland turns out to be a place where the weather changes drastically - one day there might be freezing rain, and the next day might be bright and sunny! What does this have to do with art? 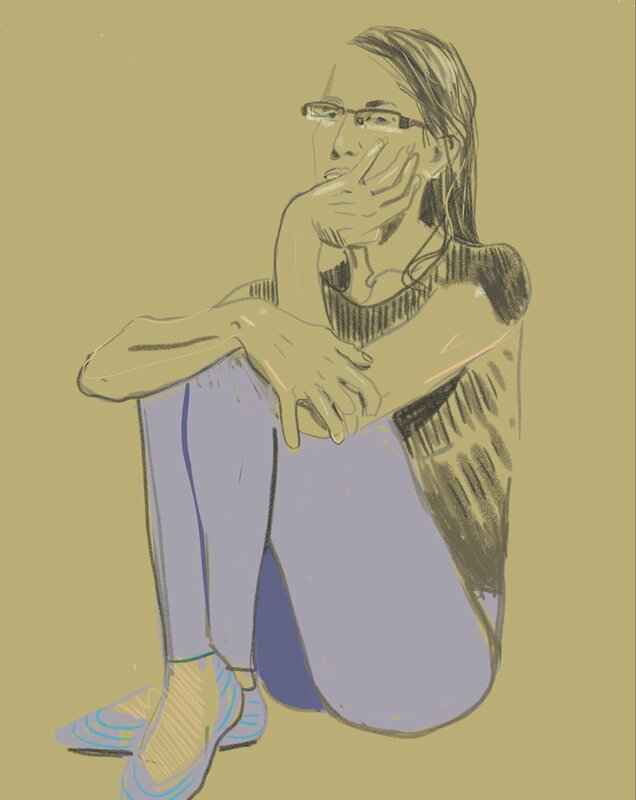 Well, it just dictates whether I can make digital art indoors on my iPad, or if I can make oil paintings outdoors where the air flows freely. For snowy and freezing rain days, I stayed indoors and worked primarily in Clip Studio Paint on the Ipad Pro. Clip Studio Paint is where I make 95% of my digital art right now. I don't have any thematic explanation for one-off pieces that I make like the ones above. All of the above were made in Clip Studio Paint on the iPad Pro. I was really impressed with how some of the effects in Clip Studio Paint could manage to replicate a bleeding-ink kind of look. I'm still working away on Tilted Sun, a comic which is set to release online on May 1.